← Your own employees hate you!!!! Armed with ALL the knowledge; customers are still SCARED! Today’s customers have access to an abundance of knowledge. They can get on their computer or smart phone and see what the cost of a New Vehicle is. They can appraise their own trade. They can see what the lowest interest rates are. They can do side by side comparisons with vehicles they are looking at. They can check for the vehicles safety and reliability. They can check how much insurance costs will be. They can pretty much check on ANYTHING and EVERYTHING about the transaction! Customers CAN, and in most cases DO, come armed with a LOT of knowledge before they enter the showroom floor. What are they scared of? They are scared that they will still pay too much for the vehicle, not get enough for their trade, pay too high a payment, pay too high of an interest rate and most of all…….they are scared that they bought the wrong vehicle! You see, even armed with ALL of the knowledge, there will always be some doubt by the customer that they are making the correct decision. THIS is where YOU, the Sales Professional, can make a difference! As a Sales Professional, you have to sell the product, the Dealership and YOU!!!! “YOU”, make the difference in the sales transaction!! Customers want to deal with someone that is knowledgeable, professional, and courteous…… and most of all……LIKE-ABLE!!! So how do you get to become, “like-able”?? The formula is rather simple. That’s it……ask questions…and a lot of them! You see the art of building rapport and knowing what a customer REALLY wants is the key to closing more deals! The best closers do one thing better than everyone else! They ask the MOST questions. When you ask questions, you get a better perspective of what the customer’s wants and needs are. You get a better perspective of how they are going to use the vehicle. You get a better perspective of what they “have to have’ and what they would “like to have”. You get a better perspective of the information that the customer already has. This is where, “YOU”, can make the difference! YOU have to have extensive product knowledge of not just your own product, but the competitions product. YOU have to have the ability to sell the advantages of your product over the competition. YOU have to be able to know all of the 3rd party websites that are giving these customers their information! Websites such as, Edmunds, Truecar, NADA, KBB, NHTSA, IIHS, Consumer Reports, TheCarConnection, CarData, CarInfo, DealerNet…..the list goes on and on…..
YOU have to have the confidence and conviction of knowing HOW to overcome your customer’s objections with the correct knowledge and information to help them make the correct decision. YOU can give the customer confidence that they are making the correct decision by purchasing your product!!! The reason the customer feels that the Salesperson wasted their time was that the Salesperson didn’t listen to the customers wants and needs. The Salesperson didn’t know their product. The Salesperson didn’t give a good demonstration. The Salesperson was not trustworthy. As a Sales Professional, you have to make the customer feel comfortable and confident about their purchase! The ONLY way you can make the customer feel this way is by becoming the very best at what you do! Product knowledge, competitions products, comparisons, selling your products advantages, demonstrating, building value, practicing, drilling rehearsing….and……asking a LOT of questions! 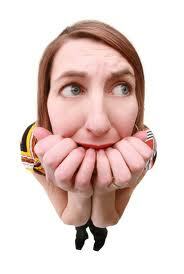 Customers are armed with a lot of knowledge, yet they are still scared! YOU can make the difference by putting all of the customer’s fears aside and making sure you give them the most professional presentation they will ever see! If “YOU” can put the customers fears aside…..YOU will make the sale!! !